The announcement was made just before kickoff of the final game of the season in which FC Nordsjælland achieved Europa League qualification. Juan Mata, the first player to join the movement, made the announcement through a video introduction played on the stadium video board and across social media. 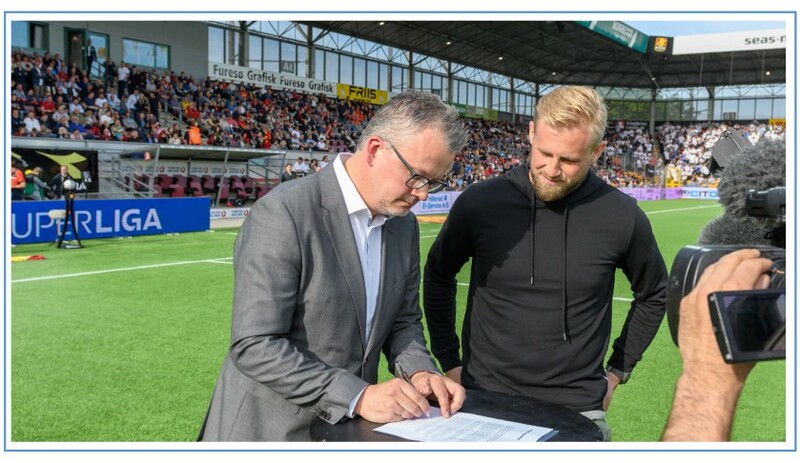 Kasper Schmeichel, Leicester and Danish National team keeper, was on hand to help to sign the pledge agreement on behalf of Common Goal together with FCN CEO Søren Kristensen. Juan sat down with an team for an exclusive interview to speak about how important it was for FCN to be the first club to take the pledge. FC Nordsjaelland’s commitment is unprecedented in the game, and together we hope that it will further spark inspiration throughout the world of football to make the 1% the norm across all aspects of the game.